PLUSCO 130 Lead & Zinc Free Copper Dope is a premium extreme pressure anti-seize thread compound. Copper Dope provides a leak-proof connection and allows continuous sealing under adverse and varying pressure and temperature conditions. Copper Dope controls friction during make-up by allowing proper thread engagement thus insuring optimum resistance to leakage. Copper Dope contains a balanced package of corrosion, rust and oxidation inhibitors blended in premium lithium base grease. PLUSCO 130 Lead & Zinc Free Copper Dope does not contain lead or any other hazardous materials. PLUSCO 130 Lead & Zinc Free Copper Dope allows ease of make-up and breakout under the most demanding conditions. Made up connections are not affected by high torque, vibration or load conditions. PLUSCO 130 Lead & Zinc Free Copper Dope is formulated to meet the rigid requirements of the entire drill string. It is also recommended as a casing and tubing high- pressure lubricant and sealant. 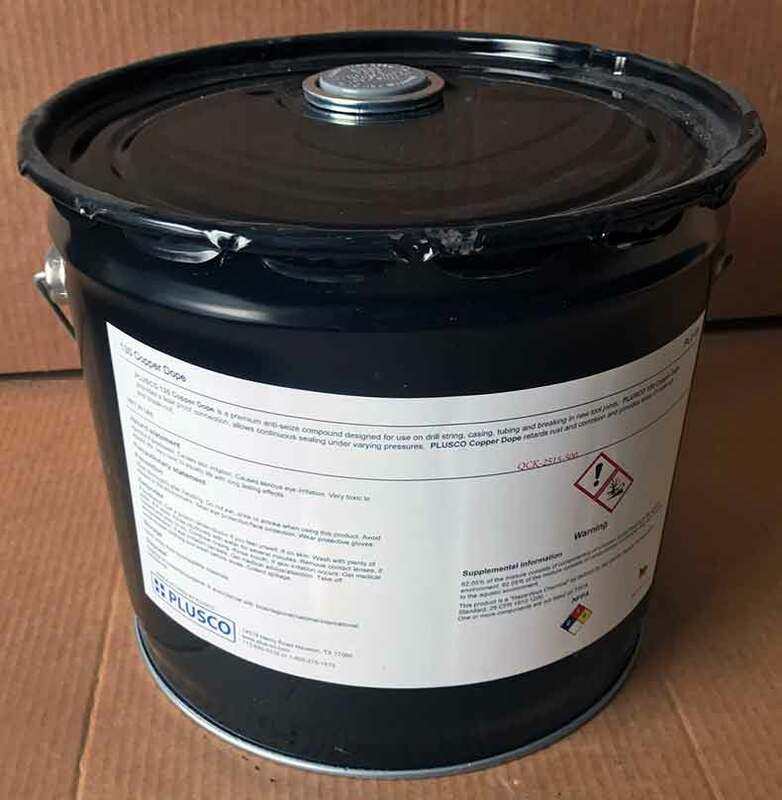 PLUSCO 130 Lead & Zinc Free Copper Dope is also recommended for areas where high temperature conditions exist such as reactors, steam-lines, boilers, heat exchangers or cat-cracking units. Copper Dope is often used on connections when assembling down-hole pumps.